A double bonus for the Bees as the chance for furry justice arrives. What a day that was . Whilst Brentford fans should probably be talking about the forthcoming game with Huddersfield Town, there were two huge off field developments on Wednesday that deserve our attention. Season ticket prices were announced whilst Barnsley, our opponents on April 17th, have layed down a furry gauntlet. First up, season tickets. With the club already having announced this week that we have been given dispensation to retain our terracing at Griffin Park for 2017/18, Brentford have now confirmed ST prices for next season. The great news is that these have been frozen. There is no price increase whilst juniors also get a free home shirt included as part of the package. This really is exceptional value and continues our trend over the last few seasons of looking to keep Championship football at more than competitive prices. With supporters fed up of what they are being asked to pay for trips to the likes of Ipswich Town or Leeds United, back home things are at a much more ‘down to earth’ level. Great work Mr. Benham, Mark Devlin and the rest of our upper management team. Here’s hoping they are rewarded with more full houses next season. Renewal is a no-brainer for my family ; fingers crossed we get more of the exciting football we’ve seen in recent weeks. But if that was reassuring stuff, things then went stratospheric with a double whammy from Barnsley ahead of our game at Oakwell on April 17th. Prices there have been confirmed as £10 for all adults – home or away – a move which one hopes will boost a bumper bank holiday crowd (with thanks to the Middlesex Chronicle big book of 80’s alliteration for that one). But that’s nothing compared to the gauntlet laid down in the afternoon. Cast your mind back to 25 October, our 4000th league game which fate decreed was our visit from the Tykes. That it ended with a 2-0 home defeat to Barnsley was almost secondary to what happened at half time. A mascot race where furry injustice was played out in front of the Griffin Park crowd. Whilst Barnsley were declared winners – Toby Tyke apparently nudging home ahead of Buzz, the pair of them having romped past Buzzette, subsequent evidence c/o Mark Fuller suggested otherwise. His picture clearly showing the club mascot crossing the line first. Who crossed the line first? Toby, apparently. Toby, meanwhile, has been giving it large. Ironic, given the size of his head. That alone must make steering the anthropomorphic dog a nightmare and, surely, the opportunity is ripe for justice to be finally served. Mark Devlin, Mr Benham, Brentford official. If any of you are reading (you never know), for the love of all that is good in football – please can we accept this challenge? You’ve already given us season tickets. Forget Haye-Bellew. Supporters are crying out for Bee versus Dog 2 : The Rumble in West Riding . Will it happen? Here’s hoping. How do Bees fare against Monaco, Manchester City and Celtic in the pre-season buzz? The season is almost here. New kits. New signings. New season tickets now in the post. Brentford, of course, have now unveiled their new strip which, presumably, will see another airing for the home version agasint Peterborough tonight. But we aren’t alone. Celtic took a (double) trip into the bizarre yesterday whilst AS Monaco and Manchester City are amongst those promoting themselves in unique style ahead of the big kick off. First up, as ever, Brentford. The big talking point from Saturday’s 1-1 draw with Kaiserslautern was nothing to do with the on pitch matters but more one about the kit. Wonderful though it is, the universal opinion seemed to be that the shirt numbers were somewhat ‘tricky’ to read. “Very retro” was the diplomatic verdict from the Beesplayer team as they discussed this during the first half. Adding, “It’s a good job we know the players”. Was this fair? Will we get used to them? Could the players see a patch having to be added to the reverse? Will the football league change their font? More than likely, we’ll all just have to get used to it. Family time meant Saturday was a game too far but here’s to tonight and seeing the new kit in action, under floodlights. I’m sure it’ll all be fine. 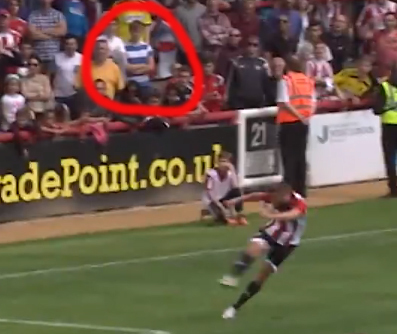 The other thing that has impressed me about the new Brentford shirt was the way the launch was handled. For obvious reason there may be a slight element of bias but using the supporters was a wonderful idea. But it wasn’t just this. It was the subtle yet classy way we did this. No OTT catchphrases. None of those dreaded hashtags. Just a series of great (player) photos. The same can’t be said about others. With passage to the third round of the Champion’s League now assured after edging past Lincoln Red Imps of Gibraltar 3-1 over two legs, Celtic have safely launched their third kit. And it is one born in the history of their European cup triumph of 1967. #IfYouKnowYourHistory says the launch hashtag. And enough, but it is what the blurb says about the inspiration for a somewhat gaudy colour scheme that really intrigues. Apparently the shirt has been inspired by the colours used on the match ticket for the 1967 final, with the electric pink and black design honouring the ‘Lisbon Lions’ team. It’s tenuous but if true then who am I to argue. It’s just a shame that, in choosing to honour what is probably the biggest moment in the club’s history, Celtic have done so in such appalling fashion. It is a shirt which, in this kit nerd’s opinion, gets a direct pass to the hall of shame. Social media was awash with commentary, most of it less than favourable. Almost as much for the picture published (which since seems to have been removed), of new signing Kolo Toure. Perhaps he’d been shown the new kit just before the photo was taken? If Brentford have looked to take a different approach to kit launch this season, we aren’t alone. Over in France, AS Monaco have released a video to help with theirs. Sadly, this isn’t in the same ball park as the infamous Blackburn Rover’s effort – Birdy’s date – instead being somewhat tasteful and rather innovative . Virtual Reality – words not heard since the late 80’s and pixel laden video games accompanied by ill-fitting headsets and impossible controls. Well, it’s back (albeit via the medium of YouTube, and has been used on the Monaco kit launch. With the release of a new kit becoming more and more a ‘big thing’ , one does wonder where this is going to go next. We’ve certainly come a long way since a photo in the programme or our own ‘reveal in the bathroom shop window’. Finally, have you got your new season ticket as yet? With the cards and wallets coming through letter boxes as we speak, it’s another indication of the forthcoming season. This has done nothing but further whet the appetite although I do wonder if it might have been possible to have some variety in design or even for of the year embossed onto the card or holder. I guess this was for reasons of cost / continuation of design but football fans are, in many cases, completists and collectors. I have drawers full of the things from seasons gone by, as do many others. Being able to look back over them is a hugely sentimental / nostalgic thing for many. If the marketing chaps are reading, perhaps a small ask for next season? Looking at Manchester City, their ticket has been despatched in a collectors box with pin badge for their new, old crest. Perhaps somewhat outside of our budget range and a tad OTT but, equally, you can’t deny it is a well meaning touch. Can Nico do it again or will Dougie turn destroyer? Can Brentford make it 3 in a row when we take on (technically) play-off chasing Ipswich Town today? For all that our hosts are flying high in the table in a very respectable eight place, the wheels have come off the Tractor in recent weeks with Town only recording one win in the last six games. Did you listen to the Besotted podcast yesterday? If not, then do so. Please. Whilst I mentioned this in the previous article and don’t want to overly labour the point, the views of home fan Harry Wainwright really are worth a listen. As he notes himself, Ipswich now need snookers and some serious favours to make the play-offs. But it is his verdict on former Bee Jonathan Douglas that gives particular food for thought. The eagle eyed amongst us may have seen that Dougie has just triggered a contract extension for another year at Portman Road. But whilst he was a hero to many at Griffin Park, this may not be such a popular announcement in Suffolk. Harry’s take on the player was fascinating. He quoted one recent criticism (from their 0-0 against Charlton) where the player was described thus, “ At times he looked like he was in a daydream . He had no idea what was going on.He was slow, error prone and often anonymous. Sound familiar? Reminiscent of the man who earned our most bookings last campaign (10). Or somewhat harsh for a player who scored 8 goals for Brentford in 2014/15 and was an inspiration to many with those surging runs up field? Without revealing all Harry’s opinions (do listen to that podcast. And no, i’m not on commission – it’s just a really good one) he goes on to note that, “I think he IS error prone…within the fanbase he is the most under the spot light. In the last five games he has been the lowest ranked player , culminating in a 2.9 out of 10 against Charlton”. Is this just the opposition trying to give us false confidence or are Ipswich and Dougie here for the taking? This, of course, assuming he is even selected and given these opinions of his recent performance that may not be a given. As ever, at 3pm we find out. Two other brief points. Firstly, season tickets. Don’t forget that these are now on sale and for the first time in living memory I’ll be sitting for the next campaign. Not that anybody particularly cares but the demands of a young son who loves Buzzette and ‘Fireman’ Sam Saunders in equal measure have meant a seat on the touchline is the way forward for yours truly. No, this is highlighted more to big up our wonderful ticket office team. I know this has been noted several times before but, like Kitman Bob, they really do present our club in a great light . Very much the unsung heroes of Griffin Park. Well, I’m singing. And finally, betting. I mention this purely for statistical interest but Nico Yennaris is currently 12/1 to score at any time in the game. I’ve only checked this for research purposes of course, but could our latest goal hero make it three in a row? At that price, he must be worth a sniff? Can he do it? Here’s hoping. Billy Reeves is the man to describe the action today for those not fortunate enough to be able to make the trip. Fingers crossed for another three points at the denouement of this one. With the dust barely settled on Tuesday’s win over Bolton, it was news central at Brentford yesterday. The media team were in over drive with two major announcements made through ‘official’ on the club website whilst kitman Bob Oteng has already started teasing fans with news of his latest,and final, shirt giveaway. All we needed was an ‘And Finally…‘ story about a pregnant panda to really go ‘full Newsround’. Did anybody ever ring that phone ? This is fantastic news after, outwardly at least, the project seemed to have hit a bit of a brick wall. I have no doubt the team were tearing up trees to get over this latest hurdle and I’m just really pleased for all involved that we are now another step further along the line. Given the brief and factual nature of the announcement it does pose a number of follow on questions. Namely – when can we start building? How much did it cost? Can there be any further appeal against the government’s decision? Will we get to see photos of Mark Devlin, Cliff Crown and Matthew Benham wearing ‘hard hats’ and leaning on shovels as the club ‘break ground’? Hopefully we’ll be given a more in depth analysis of next steps in due course. There are plenty of questions and I can’t imagine that clearing the site or building will start tomorrow. So, for now, let’s just enjoy the good news whilst looking forward to further updates and the prospect of our new home being that bit closer. And in a wonderful piece of timing, the club have also announced that season tickets for the next campaign will go on sale this Friday. Given it could be our final campaign at Griffin Park (at least, in the current ‘terraced’ form) there was further good news in that, amongst myriad other pricing/membership related benefits, ST prices have been frozen. The full details are available on the club website in what is, this time, a voluminous statement. CEO Mark Devlin explains the methodology behind keeping prices at the same level, the dialogue with BIAS to help achieve this and the long term aspirations of the club around our fanbase. This really is a positive and forward looking plan that represent great value for another season of Championship football. But if that wasn’t enough ‘feel good factor’ coming out of the club, kitman Bob has started his own strip tease campaign. Followers of Bob on twitter will be well versed in his regular kit ‘giveaway’ competitions that have involved all sorts of ‘money can’t buy’ prizes from the back of his locker. Signed boots, signed shirts and even the black third shirt have all been won by fans for nothing simpler (ha!) than than predicting the name and minute of Brentford’s first goal scorer. I get the impression that the next, and final, competition of the season could be something unique. Bob has already started dropping hints on social media…. Is Bob ending the season with the big one? I can’t even imagine what Bob has up his sleeve but if the incredible prizes given away so far are anything to go by, this one could be very special indeed. I can only imagine the Brentford media team are standing by to swing into action on Thursday morning after the Evening Standard published a bonkers report late last night, claiming it was cheaper to watch Arsenal than the Bees. In a clearly sensationalist bit of headline grabbing (presumably meant to lure people to their website, and yes – I bit) they have made this incredible statement. All of which is a shame for no other reason than it will now distract from yesterday’s genuine read – Beesotted’s summary of Matthew Benham and his presentation to the Matchbook Traders Conference. But I need to start with the Arsenal ‘story’ where, I suppose, we should be glad that the Standard actually remembered Brentford exist with their latest story on the cost of football. The column by Tom Dutton (@TomDutty on twitter) ignores the fact that a Brentford season ticket is still cheaper than attending four ‘top category’ Arsenal games. Instead they have focused (incorrectly – and we’ll get there) on a twist of circumstances as the lead for their whole column. Gunners fan can, theoretically, pick up a ticket for the home game with Bournemouth for £27. That being the cheapest price band for the only league game they have declared in their lowest pricing category. I’ve taken a look at the Arsenal website this morning and it is true. Should you want to go to their Emirates stadium on a Monday night immediately after Christmas, (December 28) and sit in the bottom corner then there may well be a £27 ticket available to ‘Joe Public’. That is, should any remain. Even the club’s home page notes that this is: “Subject to availability should any tickets remain after sales to Members”. The Standard’s report fails to note that this membership is a cheapest price £25 whilst, incidentally, you have to pay £15 just for the privilege of getting on the waiting list for a season ticket. That said, they do also highlight the £97 category A seat for a single game and the over £1,000 cheapest season ticket price. The Standard have never had a particular good relationship with Brentford, preferring to concentrate more on the Premier League than the clubs in London who have made up their traditional target audience. And when we have been mentioned, it is more a cheap shot at our expense for their own means – headline grabbing. Good luck to them. It must be sad to be so desperate for readers. Moreso, and as supporter Thomas Knight had noted, given that supporters can get into Saturday’s league game against Rotherham for just £10, applying the same logic their article is already fatally holed below the waterline. 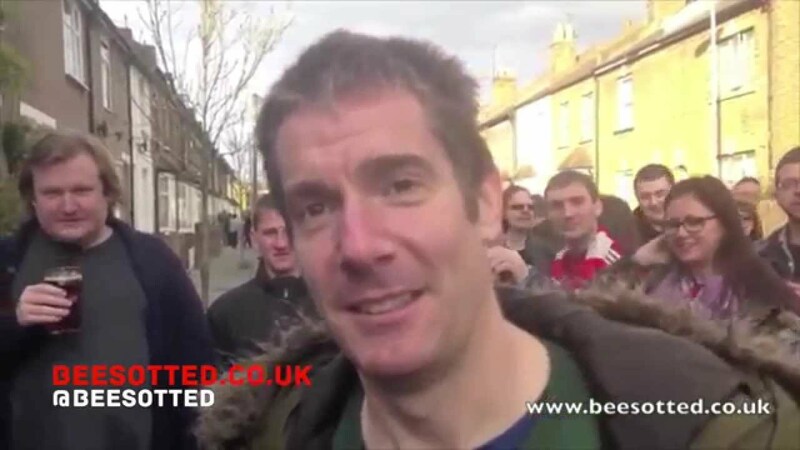 The other much more pertinent piece of Brentford related news was the aforementioned appearance by Matthew Benham. Billy Grant’s article is a fascinating one and, whilst not able to put any questions direct to our owner, does raise several interesting thoughts. Specifically the observation on Marinus Dijkhuizen that, “They pulled in all the necessary references. But he also admitted that the club had also received one bad reference. Whilst the full reasons behind Marinus departure still remain muddied (anyone? ), it does beg the question why such a potentially critical piece of information wasn’t investigated further? I’m not going to steal Billy’s thunder any further. I thoroughly recommend that, if you haven’t already, then do take a look at the full article on the Beesotted website. I’d love the chance to put these sorts of questions to Matthew. It takes a brave man to admit he’s made a mistake so fairplay for doing so. And so decisively. It would be intriguing to find out why. Not my words but those of Elton John (apart from the bit about Manish) which, I can only imagine, were ringing around the hot bed of activity that is the Griffin Park media centre on Friday as Brentford announced another new signing. The latest name to join the Bees is Finland under-21 international, Daniel O’Shaughnessy. The 19 year centre back would seem, on paper, somebody who most definitely fits the club’s bill of acquiring young talent. That said, early visitors to the Brentford club site may have been left somewhat confused. Had the media team taken a particularly long lunch, been caught short by a sudden signing or are they just massive Elton fans? Apparently ‘defedner’ Daniel, brother of Daniel, played against England way back in 2003. Either Warbs had reversed the aforementioned youth policy or this had been in the under-9’s World Cup. You can see part of the story – as it first appeared – below. The story was soon cleared up as it transpired that the game against England, where defender Daniel had actually featured alongside his brother Patrick, took place just last year – 2013. As ever, you can read the full (corrected) version on the clubsite. Those who saw Brentford play CA Osasuna on Tuesday will already have had a brief taste of Daniel in action. Don’t bet against him having a further run out at some point today when The Bees line up against Crystal Palace. The other news to grab my attention yesterday was an announcement from Manish Bhasin, of ‘Football League Show’ fame. I love this programme and was a regular viewer last season (despite their obsession with ‘that penalty’). If for no other reason than to see which team ‘coupon buster’ Clem would curse with a visit. The spectre of a home defeat seems to follow the ever-popular roving reporter like seagulls sniffing around the proverbial trawler. Well, the good news is that rather than waiting up until well past midnight on Saturday for our only chance to catch this, the show is to get a second running on Sunday mornings. The time, 9am.Ish. The place, BBC2. This is fantastic news for those of us, myself included, who struggle to sit through Match of the Day. An hour of Mark Lawrenson is generally enough to finish off any hopes I had of lasting until the Bees action hits our screens. Nice work, Manish. Now, if you could just make sure Clem is given a season ticket for Craven Cottage that would be perfect. 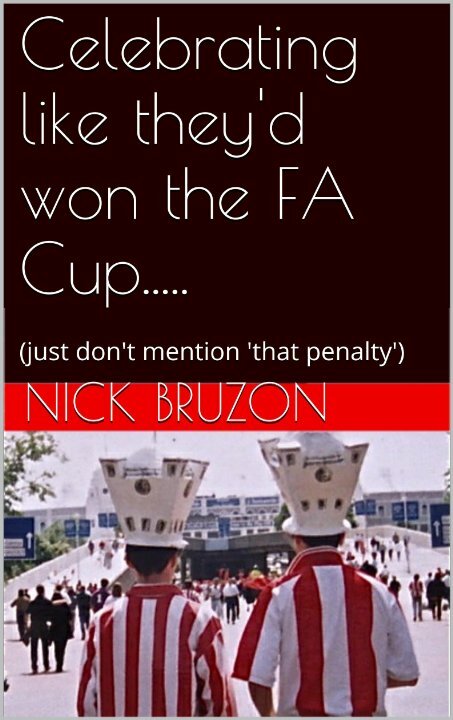 The story of Brentford’s 2013/14 promotion campaign, amongst other football related gumph, is now available as a digital book. Featuring the best of the not so bad columns from last season, and some new content, you can download it here for your kindle / digital device.